Musing deeply on discrete leadership matters is an essential component of success for anybody overseeing the day-to-day operations of a school, and doubly so in communities plagued by drugs, violence, or other markers of societal dysfunction. 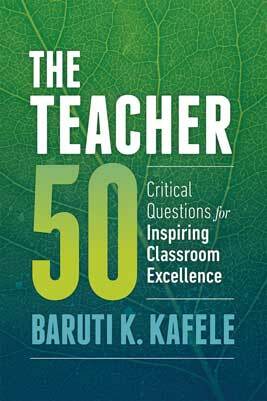 ​In this book, Kafele offers those seeking to improve the quality of instruction in their institutions hard-won wisdom on such critical issues as ensuring an optimal culture and climate, engaging in parent and community outreach, confirming emergency preparedness, rallying staff, and much more. 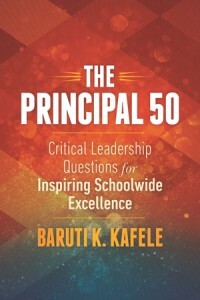 Because the sheer volume of responsibilities for a principal or assistant principal can leave you with very little time for developing an effective and consistent self-reflection regimen, Kafele has done the work for you. 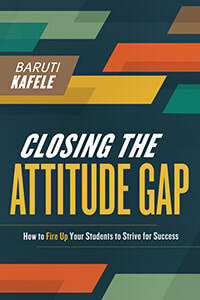 You need only open the book and begin reading to embark upon a penetratingly insightful journey destined to transform your practice, boost teacher satisfaction, and–most important of all–inspire students to excel academically. 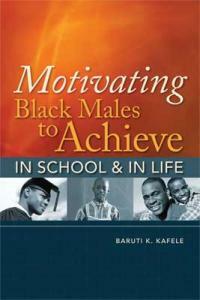 "One of the most sought-after school leadership experts in America, Principal Kafele is impacting America’s schools! He has delivered over two thousand conference and program keynotes, professional development workshops, parenting seminars and student assemblies over his 32 years of public speaking. His message of inspiring school and classroom excellence is vastly impacting America’s school leaders and teachers!" As a middle and high school principal, Principal Kafele led the turnaround of four different New Jersey urban schools, including “The Mighty” Newark Tech, which went from a low-performing school in need of improvement to national recognition, which included U.S. News and World Report Magazine recognizing it three times as one of America’s best high schools. 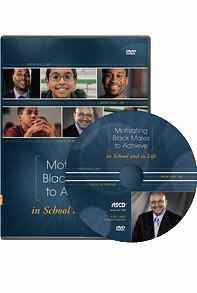 A prolific writer, Principal Kafele has written extensively on professional development strategies for creating a positive school climate and culture, transforming the attitudes of at-risk student populations, motivating Black males to excel in the classroom and school leadership practices for inspiring school-wide excellence. ​In addition to writing several professional articles on these topics for popular education journals, he is the author of nine books which include his national best-sellers, Closing the Attitude Gap, Motivating Black Males, The Principal 50 and The Teacher 50. 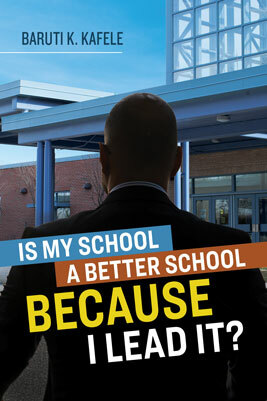 His 9th book is hot off the presses entitled, Is My School a Better School BECAUSE I Lead It? 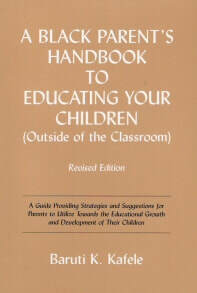 His next book, So You Want to Be a Principal? LET’S TALK! will be released in 2019. Principal Kafele is married to his wife Kimberley, and is the father of their three children, Baruti, Jabari and Kibriya. He earned his B.S. degree in Management Science/Marketing from Kean University and his M.A. degree in Educational Administration from New Jersey City University. 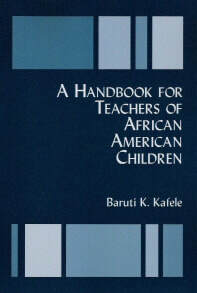 ​He is the recipient of over 150 educational, professional and community awards which include the prestigious Milken National Educator Award, the National Alliance of Black School Educators Hall of Fame Award, induction into the East Orange, New Jersey Hall of Fame, and the City of Dickinson, Texas proclaiming February 8, 1998 as Baruti Kafele Day.